Purchase this gift certificate for a friend and have it emailed to them and they can use it to shop here online. A great way to buy for that very picky person. Available amounts of 25, 50, 75, 100, 150, 250, 500, and 1000. 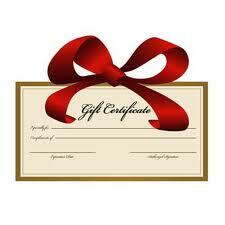 When you purchase a gift certificate we will email you the code needed to redeem the certificate.